You are looking at a console radio fitted into a oversized tombstone cabinet. This is an eleven-tube chassis. Midwest Radio was known for high-tube count chassis and a unique mail order factory direct distribution. I had never seen this model before, clearly a scarce model. 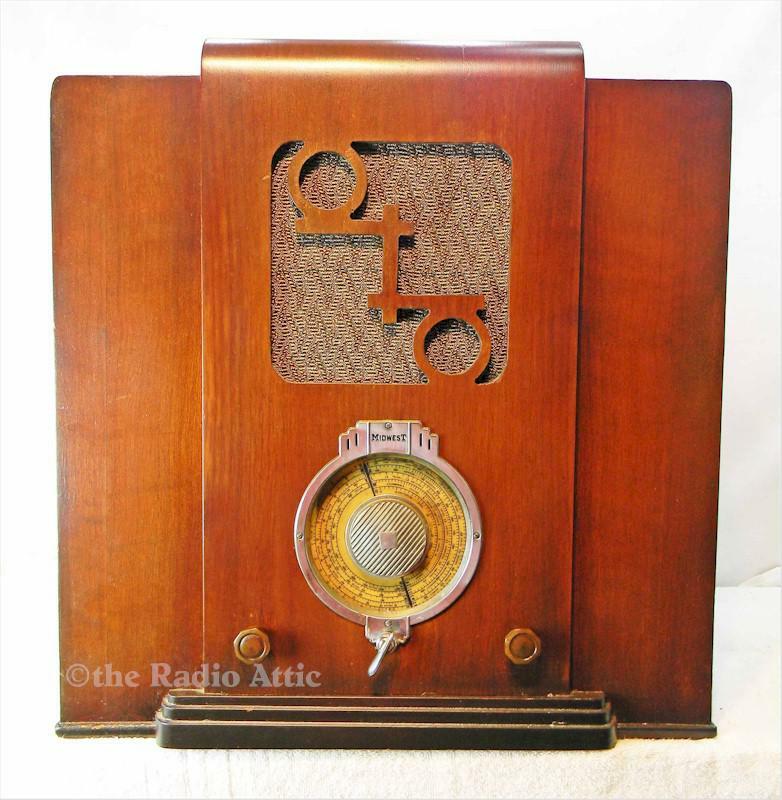 The radio cabinet is all original finish with minimum wear. The speaker cloth is an accurate replacement and the knobs and metal band select are originals, too. The five band chassis back lights the band as you switch using the selector. Three of the five bands are vacant today, but the radio is a powerhouse Broadcast and Shortwave receiver. With the high tube count my technician has done his meticulous work, as these are sophisticated in design. He did a great job! Adding a fine silk/cotton power cord and Bakelite plug, mirroring the way it left the factory. Note the large size, this radio measures an oversized 21-1/4"H x 20"W x 11"D.
You are visitor number 6,358 to this page.